Welcome to Buckinghamshire, whose county town is not Buckingham as you may expect, but rather surprisingly, Aylesbury! The name Buckinghamshire is Anglo-Saxon in origin and means ‘the district of Bucca’s home’, Bucca being an Anglo-Saxon landowner. Today Buckinghamshire is popular with commuters due to its proximity to London. Buckinghamshire has much to offer the visitor, including historic houses, stunning gardens such as those at Cliveden and Stowe, and historic attractions such as the Chiltern Open Air Museum and the Hell-Fire Caves. These tunnels were dug by hand and were once a haunt of the notorious Hellfire club! This is also Roald Dahl country: you can visit the museums at Aylesbury and Great Missenden and then take the Roald Dahl Trail. The literary connection continues with Marlow, once the home of the poet Percy Shelley and his wife Mary Shelley, author of Frankenstein. The town is set on the banks of the River Thames and is well worth a visit. St Giles, the parish church at Stoke Poges is said to have inspired Thomas Gray’s ‘Elegy Written in a Country Churchyard’, and the poet himself is buried there. Buckinghamshire is a walker’s paradise. Explore the Chilterns, an Area of Outstanding Natural Beauty and follow the ancient Ridgeway as it travels from Wiltshire to Ivinghoe Beacon near Tring. The Ridgeway even passes down the drive of Chequers, the Prime Minister’s countryside retreat! Talking of prime ministers, Hughenden Manor was the home of Benjamin Disraeli, two times Prime Minister. Much of the house is preserved as it was in Disraeli’s time, and the house is now in the care of the National Trust. You can also visit magnificent Waddesdon Manor (NT), built for Baron de Rothschild in 1874 to display his outstanding collection of art treasures. Near Waddesdon is Claydon, the former home of Florence Nightingale. A social reformer and statistician, she is perhaps most famous for her pioneering work in nursing. Buckinghamshire is also home to picturesque Amersham with its half timbered buildings, inns, shops, cafes and town hall. The whole of the attractive and historic village of Bradenham in the Chiltern Hills is in the care of the National Trust. Visitors to Turville may be forgiven for thinking they have travelled back in time. This idyllic Chilterns village boasts a 12th century church and attractive period cottages clustering around the village green and pub. 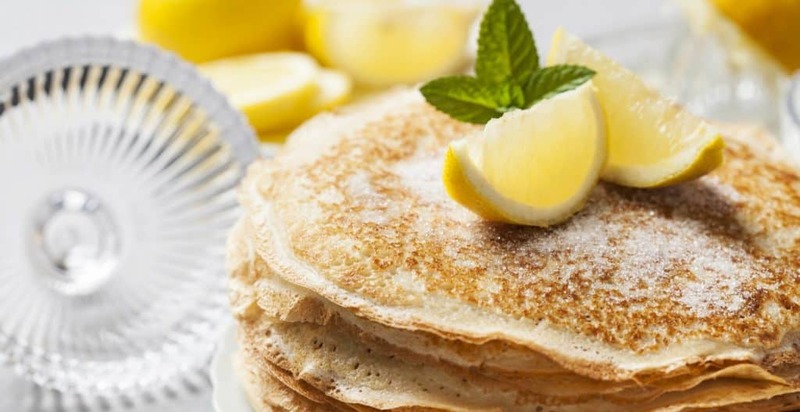 In the UK, pancake races form an important part of the Shrove Tuesday celebrations and the annual Olney Pancake Race is world famous. Competitors have to be local housewives and they must wear an apron and a hat or scarf! The country around Aylesbury is noted for its large number of duck ponds. The Aylesbury duck is quite distinctive with its snowy white plumage and bright orange feet and legs, and was bred mainly for its meat. Not unsurprisingly, Aylesbury Duck is a famous local dish, and is served roasted with an orange or apple sauce.